Researchers at the University of Ulster have issued a call for carers of people who have had suicidal thoughts to come forward and tell their stories. As part of a major research project - which could shape the future level of support for people caring for someone who is suicidal - the researchers want to talk to carers about the impact suicidal behaviour has had on their lives. The project is being undertaken by researchers at the Schools of Nursing and Psychology in association with the Bamford Centre for Mental Health and Well-being at the University’s Magee campus. Lead researcher, Dr Columba McLaughlin, explains the rationale behind the project: "Statistics show that there has been a noticeable increase in the incidence of suicide related behaviour and the number of suicides among young males aged between 15 and 24 years. "In Northern Ireland, four times more men than women take their own lives. Statistics don’t show the impact suicidal behaviour can have on the person’s family and friends and, apart from some anecdotal evidence, very little is known about what it is really like to be a carer for someone with suicidal thoughts. He continued: “We would like to hear from people who have had experience of caring for someone with suicidal thoughts and who would be willing to be part of this in-depth research study. Their experiences could help inform future services providers about the needs of carers and the level of support they require. Dr McLaughlin stressed that all participants in the study would be assured of total anonymity and confidentiality and, if needed, confidential counselling would be made available for participants. Ethical approval for the study has been given by the University of Ulster’s Research Ethics Committee. If you are interested in participating in the research, please contact Dr. Columba McLaughlin in confidence by email c.mclaughlin@ulster.ac.uk or by telephone 02871375041. The Bamford Centre for Mental Health and Wellbeing was officially opened at Magee earlier this year. 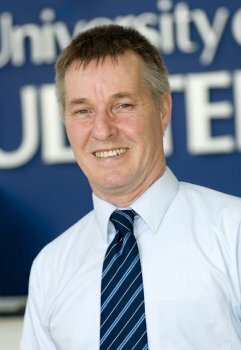 It is named after the late Professor David Bamford, of the University of Ulster, who made outstanding contributions to academic and policy developments in the Centre's specialist areas. Magee based researchers already have an international reputation in mental health. Their work helps inform government policies and provides a wealth of statistics and data that influence therapeutic approaches and a continuous worldwide debate on mental health issues. The Centre co-ordinates the work of 40 academic and post-graduate students. Other research currently under way include the economic impact of depression, patterns of post-traumatic stress, incidence of suicide and factors in self-harming.